I had the opportunity to broadcast LIVE from the Living Room in New York City from a Google+ Hangout On Air platform. This show went out to the world live on both Google+ and YouTube simultaneously. 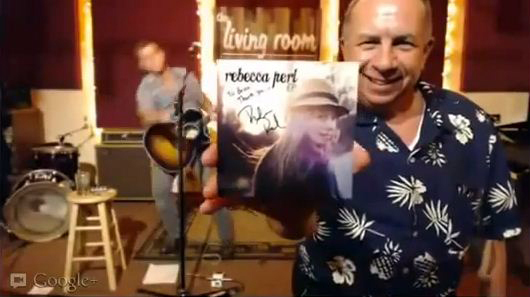 Here I am holding Rebecca Perl’s new EP album.